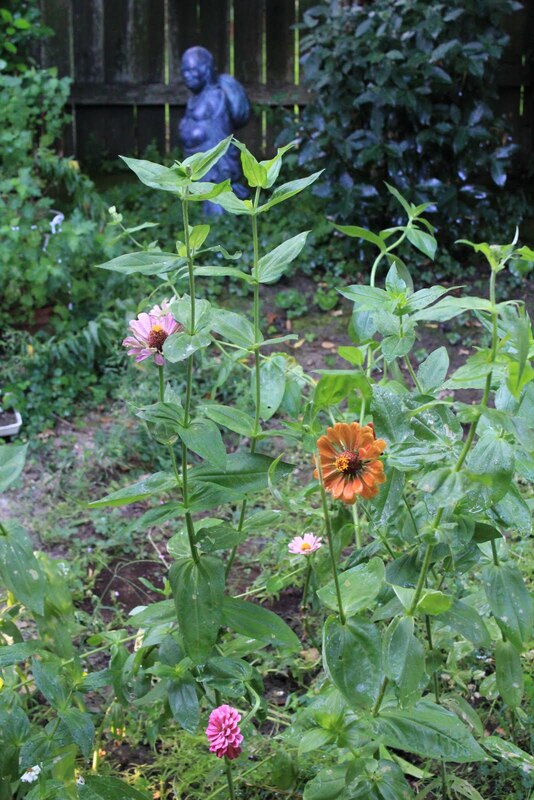 My zinnias are long and leggy at the end of the Sacramento summer. Once vibrant blooms have lost their youthful blush. They’re bowing their heavy heads, toppling over and showing their age. I should have stayed home and staked them or pinched them back, coaxed them to bloom again and continue bright and strong into fall. Instead, I headed for San Francisco and a rare lunch with high school friends – people I connect with on facebook or by email – but don’t see nearly enough anymore. Like me and my zinnias, they’re past the flush of summer. Over pasta and salad, we talked about grandchildren and photography, the challenges and pleasures of retirement, perfecting golf swings and safaris in Kenya, along with the grief of illness, and in my case, losing my husband. These conversations with people who are my same age, who grew up in the same neighborhood I did, are friends, as well as and friends of friends, who shared many of the same formative experiences I did – the Summer of Love, the Viet Nam War, first loves and first drinks, Do-Wop and Jefferson Airplane — bring a soothing self-assurance that helps ground me (in the case of this lunch, literally). They are concrete evidence that my memories are real. Without them, I’d feel cheated of who I really am. At one point, we talked about our home room teachers at George Washington High School. Mine was Elgin Heinz, a Southeast Asia scholar who grew up in China and served as an advisor to President Lyndon Johnson during the Viet Nam War and who was also my history teacher – U.S., World and Southeast Asia. I haven’t thought about him in a long time and regret that omission, but feel grateful for his teaching. The son of Christian missionaries, Mr. Heinz told us of riding a motorcycle in his late teens from China to the very tip of Southeast Asia, traversing what is now Viet Nam, Cambodia, Laos and Thailand. He talked about being driven out of China by the Communists, banished from the country of his birth. I remember his auburn hair and large, heavy-knuckled hands, his intelligent eyes and wide grin. During his tenure, Mr. Heinz became nationally known for his efforts in assisting students and teachers to learn more about Japan and Asia broadly. In addition to classroom teaching, he was active in a number of organizations, including the Association for Asian Studies, the Asia Society, the International Society for the Comparative Study of Civilizations, and the National Committee on U.S.-China Relations. In recognition of his groundbreaking work in K-12 Asian Studies, the Association for Asian Studies honored him with its highest award in recognition of his 50 years of innovative teaching about Asia. French novelist and critic Marcel Proust wrote in his 1925 novel The Sweet Cheat Gone that the “bonds that unite another person to ourself exist only in our mind. Memory as it grows fainter relaxes them. So, I will not lie. I confess that in my rush from the parking lot at Stonestown Galleria to the restaurant to renew my friendships, I turned an ankle in a big pot-hole and ended up sprawled out flat. A nice young woman ran over, “Are you all right? Can you get up? Are you hurt? 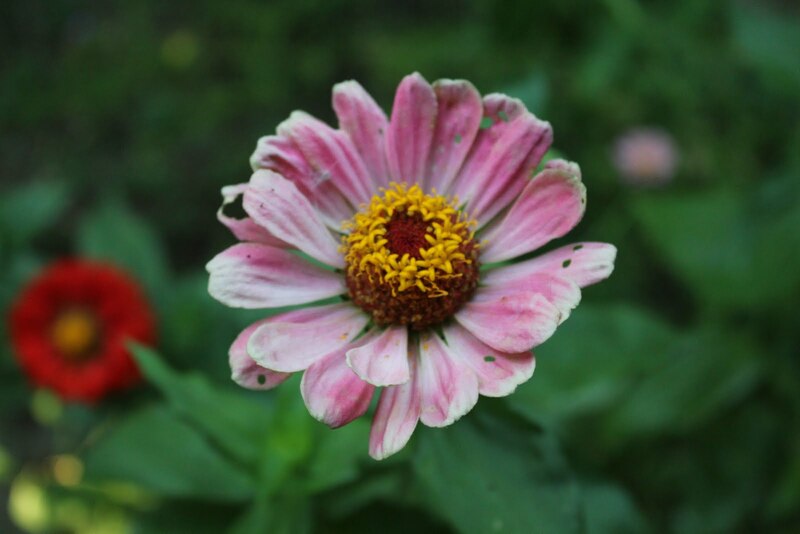 Let me help you!” I felt like my zinnias in late summer, tipping with the weight of a heavy head, past my prime, bound for a frosty winter. I saw myself as the young woman must have — old, dottering– and I jumped up, mightily embarrassed, and hobble-skipped to meet my friends. At the restaurant, Dennis McClellan, former classmate and retired San Francisco Police Officer, got a bandage for my scuffed hand and checked my sprained wrist. 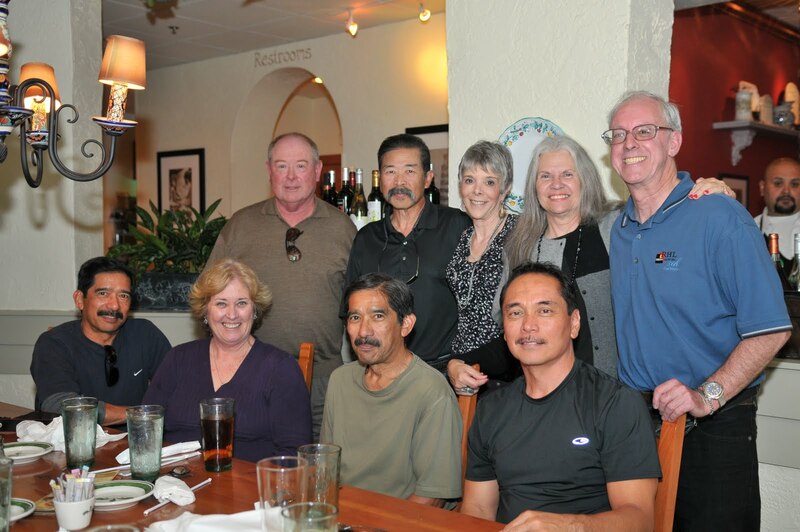 We ate and laughed, talked about improbable police rescues, how I got my job as a life guard for the U.S. Army at the San Francisco Presidio (a funny story I’ll tell you sometime), and major fires Calvin Lee responded to while working as a city fireman. Dennis Beedie, who helped organize the lunch with Leroy Farinas, talked about poker tricks he picked up while in the U.S. Air Force, stationed at a listening post in the Aleutian Islands in the dead of winter during the Viet Nam War. Since I can barely play Old Maid, I’m not planning on using Dennis’ tips any time soon. Leroy, a XanGo distributor, sells various formulations of the Indonesian mangosteen fruit, which is said to have many health benefits, but restoring adolescence isn’t one of them. National Public Radio’s Neal Conan talked with Chicago Tribune columnist Clarence Page last week about why high school class reunions matter so much. In a column, Page said, “It took some of us 20 years to work up enough nerve to show up at a class reunion.” But, he argued, “Reunions have a therapeutic value. They prove how right your parents were when they assured you, back in the throes of teen angst, that time heals all wounds — and wounds all heels.” I don’t know about that, but I can say that sometimes they can make friendships new again, heal the spirit and the hand, which is important. Guess I’ll tend to my zinnias now and look forward to the next time my friends invite me to lunch. I look forward to knowing them at this time in their lives, so I can better know myself. Next time, however, I’ll bring roses, wear flats and walk to the restaurant like the lady my Mother had a hoped I’d become when I was still in high school!